As May is National Veterinary Nursing Awareness Month, we thought it would be particularly appropriate to feature a pet whose health has radically improved through regular attendance at one of our free veterinary nurse clinics. And Patch is the ideal candidate! Patch first started attending weight clinics with qualified veterinary nurse Sharon, after being identified as having the highest score on our body condition score chart. 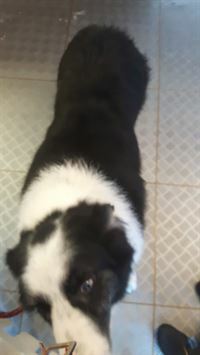 Patch had come in to see the vet for another issue, but his body condition score – or bcs – (which we note routinely at every appointment) indicated that he was obese. This needed addressing as Patch’s body was being put under unnecessary strain, and he wasn’t enjoying life as much as he should. Body condition scoring is exactly as the name suggests. The ideal bcs is: being able to feel the ribs easily with no excess covering of fat; being able to observe the waist behind the ribs when looking from above; observing that the abdomen is tucked up when viewed from the side. This carries a bcs of 4 or 5 out of 9. Anything lower is too thin and anything higher, overweight. Patch had a bcs of 9. He had no visible waist, his abdomen was distended and it was easy to feel excess fat on his body. Patch’s owner was determined that the then 12 year old should get back into shape. So Patch began his weight loss journey in 2015, with remarkable results. 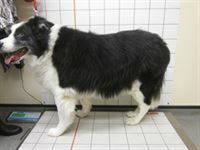 Patch’s initial starting weight was 40kg – 40% over his optimum weight. The excess weight was affecting his lifestyle and ability to get out and about. 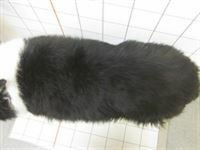 He was very lethargic, was reluctant to go for walks and was lacking in general mobility. 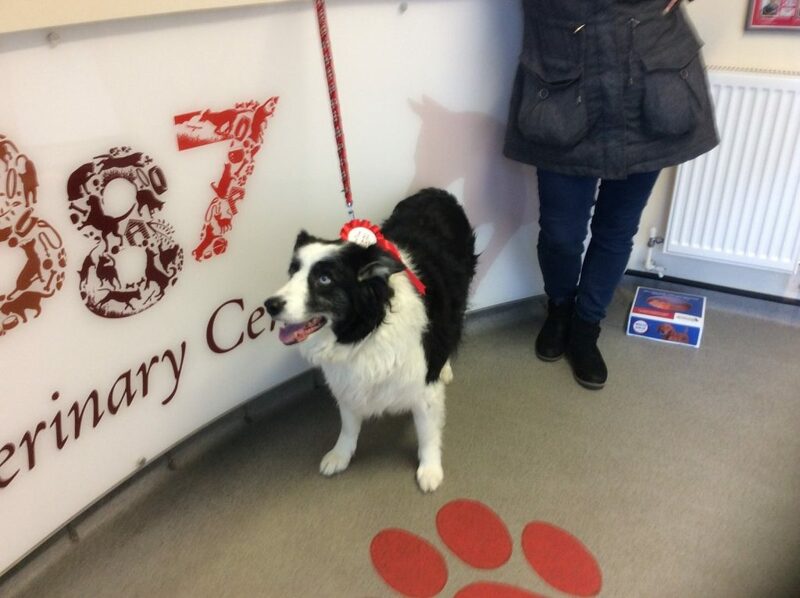 Even walking from the waiting room into the consulting room proved energetic for Patch. With diet and exercise advice, regular weigh ins, progress reviews and dedication from his owner, Patch has undergone an amazing transformation. 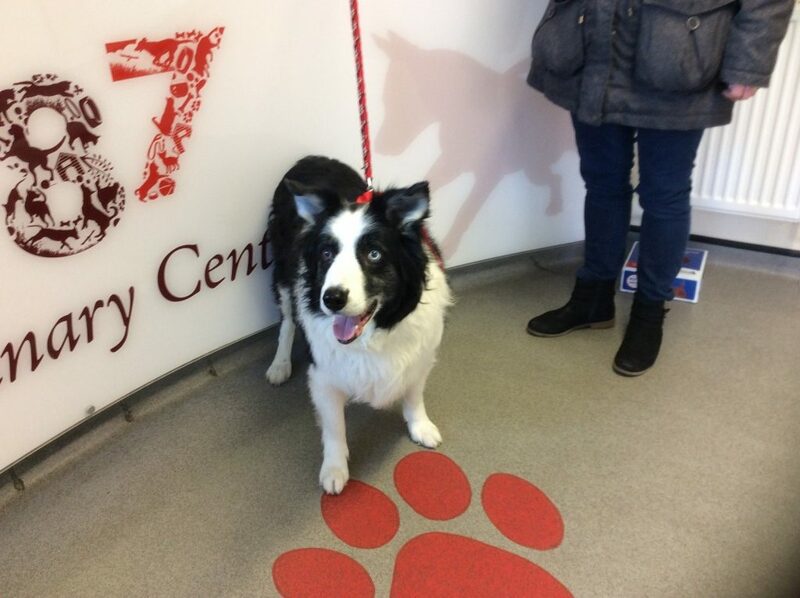 In 2 years, Patch has lost an incredible 12kg and is down to 28kg, with a BCS of 6. He has a new zest for life and loves going for walks so much he sits and waits for his dog walker at the window. He is really bouncy when he comes for his weight clinics appointments with Sharon, and it’s lovely to see the positive changes in Patch who is now a spritely 14 years old! A big hug and lots of cuddles for you in celebration. But not too many doggy treats!